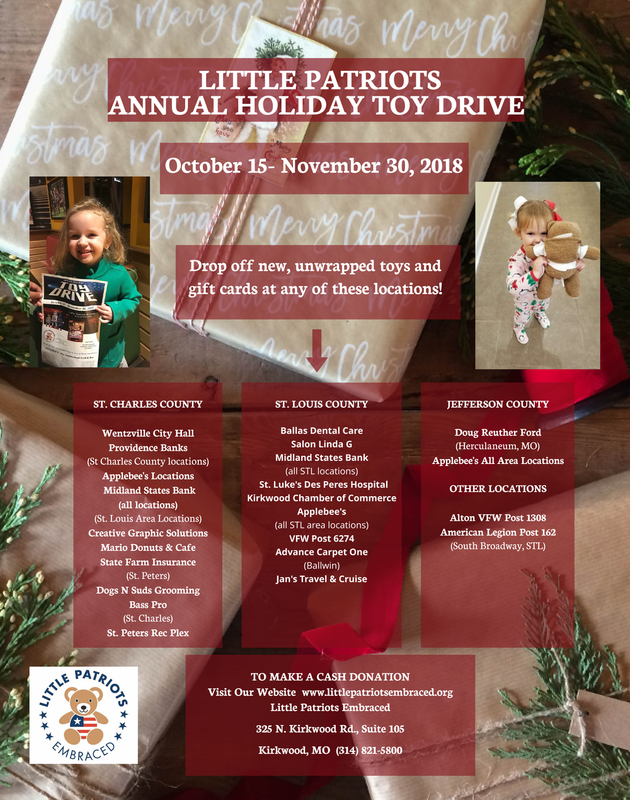 The Little Patriots Embraced Annual Toy Drive is back again in 2018! Drop off new, unwrapped toys and gift cards at any of the locations listed on our event flyer. With your help, we can make sure our Military Families have a very happy holidays. If you have any questions, feel free to reach out to us. You can make a cash donation online here.